Keeping up with household chores can be a drag, but it doesn’t have to be as time-consuming as you think. So, what’s the secret? Perpetually tidy homes are often the product of a few good habits. Life gets messy, that’s why it’s important to remember that cleaning is an ongoing process—it’s a marathon, not a sprint. Picking up a few of these quick-cleaning habits to your daily routine will keep the mess in check without the exhausting cleaning spree. Cleaning is much more tolerable when you don’t have to hunt down supplies. Stocking bathrooms, kitchens, and closets with some basic cleaning tools will make giving the sink or counter a quick swipe nearly effortless. Easy access to these supplies makes procrastination harder to justify. Taking care of messes as they happen will save you from having to scrub some mysterious, stuck-on stain later. Maintaining high traffic areas on a daily basis will ultimately prevent the spread of dirt and dust throughout the rest of the house. Entryways are a great place to start. Having a dedicated area for shoes will prevent mud and other undesirable things from being tracked through the house. Try sweeping or vacuuming these high traffic areas on a daily or bi-daily basis to stop dirt from traveling. As you go throughout your week, it’s natural for things to get out of place. 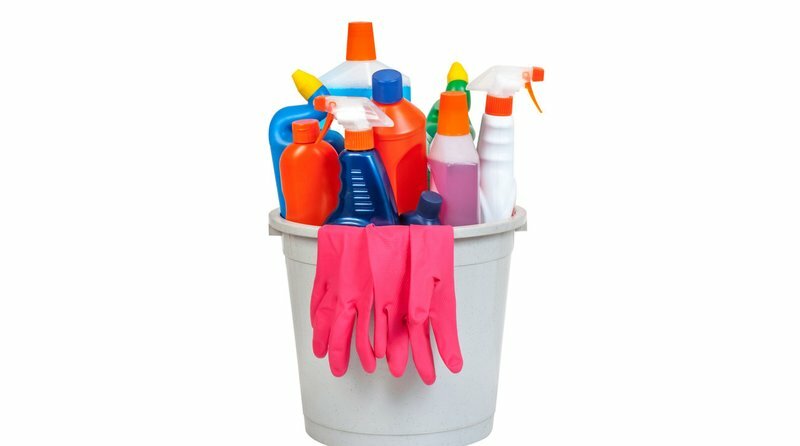 A good way of keeping your home tidy is by making sure everything gets put away. The simplest way to do this is by doing a quick scan before you move from one room to another. If there’s anything out of place, bring it with you and put it back where it belongs. Doing this each time you leave a room will make cleanup a snap. Immediately getting rid of junk mail each day will keep papers from piling up. Take a few minutes to go through your mail each day and throw out the junk, so you won’t have a looming pile to tackle later on. There’s often a few moments of downtime while you cook. Take advantage of these short breaks to load the dishwasher or wash kitchen tools that you’re finished using. Rather than waiting to clean dirty pots and pans, place them in the sink to soak before you sit down to eat. This will make for a far less daunting kitchen cleanup after your meal. Being conscious of what’s in your refrigerator will not only help you on your trips to the grocery store, but it will prevent spoiled food from piling up and causing sticky situations. Keeping stock of your refrigerator means not just knowing what’s in it but also how long each item has been in there. Performing a routine check on your refrigerator will keep you from eating something past its date and will prevent any moldy messes. Leaving a wet towel bunched up on a floor or counter is not only potentially harmful for the surface, but it also creates a breeding ground for bacteria. When a towel is being used multiple times, it needs to properly air-dry between uses. Hanging your bath and kitchen towels to dry will not only make your home look visually cleaner, but it will also keep funky smells at bay and prevent the spread of germs.